Into Valenwood. I drew this in colored pencil. 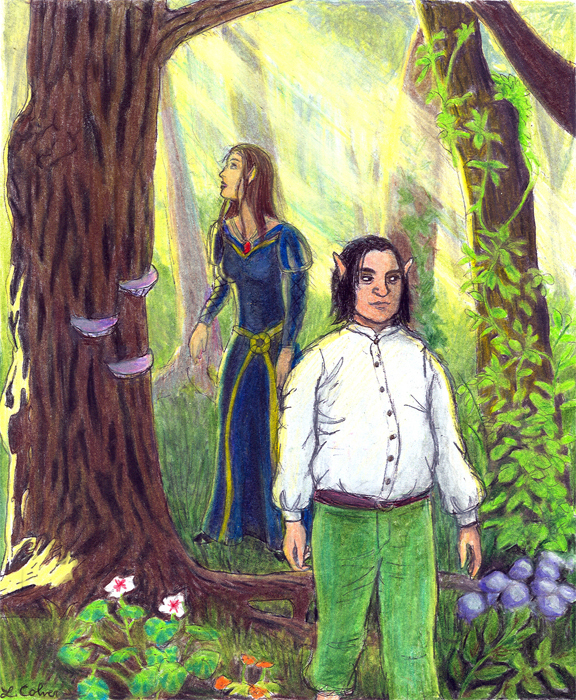 It's an Altmer and a Bosmer walking across the border into Valenwood, based on a fanfic I wrote.. Wallpaper and background images in the Oblivion (Elder Scrolls IV) club tagged: elder scrolls oblivion valenwood bosmer altmer elf. This Oblivion (Elder Scrolls IV) fan art might contain anime, bande dessinée, manga, and dessin animé.